Are BioBloom hemp products legal? 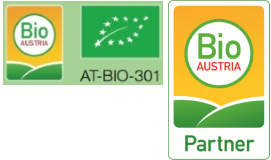 Yes – BioBloom products are extracted from exclusively EU-certified industrial hemp. These varieties are authorized by the EU and only contain small traces of Tetrahydrocannabinol (THC < 0,2%). Thus, the varieties are not amenable to the Narcotic Substances Act. Why is BioBloom hemp flower tea being drunk? You do not have to be sick in order to enjoy BioBloom hemp flower tea. Many costumers drink the hemp flower tea at their workplace, relaxed on the couch or simply as a substitute for coffee, for revitalization of the body and increasing of their well-being. How is the tea properly prepared? What is important is the infusion time. Longer infusion increases content of cannabinoids or sedating effect. Where is the tea available? BioBloom hemp flower tea is available without prescription at pharmacies, health food stores and on the BioBloom website. If the tea is not available at the pharmacy, pharmacy employees are able to reorder it using the PZN number (see product image). Online, the hemp flower tea is available under the menu item “shop”. Is the tea suitable for all ages? Yes – the tea is suitable for all ages and does not contain psychoactive substances (free of THC). Thus, it neither has psychoactive effects nor does it cause addiction. What is the difference between hemp tea and hemp flower tea? Hemp tea is mostly composed of a great percentage of hemp leaves. The health-promoting ingredients of the hemp plants are to be found in their most concentrated form in the hemp flower. (Cannabinoids, Flavonoids, Terpenes, etc.) This is why there are only 100% pure and hand-crafted organic hemp flowers in our teas. Numerous analyses have shown a wide variety of ingredients in our teas. Which ingredients have been found and which role they play for our bodies can be found under the menu item “hemp flower tea”. How to use Organic Hemp Drops Raw & Natural? 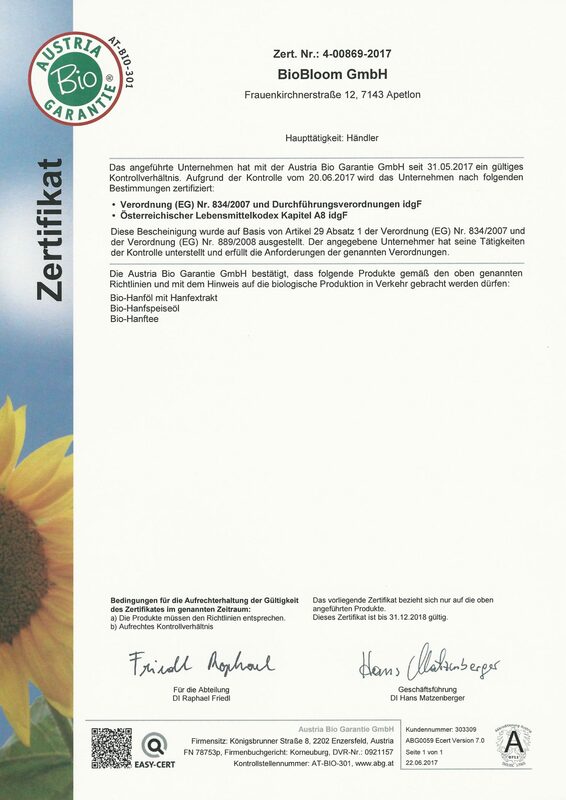 According to Ages (Austrian agency for health and food security) products containing CBD are not to be categorized under “supplements”. Therefore, we as manufacturers are not allowed to give out specific application recommendations. How can I apply the organic hemp oil? Can I cook with it? Due to the gamma-Linolenic acid it is, however, also often applied for skin care. In order not to destroy the omega fatty acids, the oil is not supposed to be heated.